Since April is Parkinson’s Awareness Month, we are pleased to announce that we have added the SPEAK OUT! ® speech therapy program to preserve the voices of individuals with Parkinson’s and related neurological disorders such as Essential Tremor, Lewy Body Dementia, Progressive Supranuclear Palsy and Multiple System Atrophy. SPEAK OUT! ® typically consists of twelve individual speech therapy sessions conducted by one of our speech-language pathologists. Together, the patient and our speech-language pathologist work their way through a series of speech, voice, and cognitive exercises outlined in a comprehensive workbook provided to every patient from the Parkinson Voice Project (parkinsonvoiceproject.org). The primary goals of SPEAK OUT! ® are to strengthen the muscles used for speaking and swallowing and to teach patients how to speak with intent and deliberation. After completion of SPEAK OUT! ®, a 6 week follow-up appointment will be scheduled with our speech-language pathologist and refresher session will be scheduled every 3-6 months for maintenance. In comparison to the LSVT LOUD ® speech therapy, SPEAK OUT! 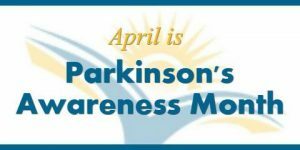 ® consists of 12 sessions instead of 16, exercises are organized in a complimentary workbook provided by the Parkinson Voice Project to assist with compliance at home, and SPEAK OUT! ® also addresses cognition.